Founded in 1977, Sandpiper Supply began as a classic supply house, servicing the greater Savannah wholesale plumbing market. Located on Barnard Street in the old Starland Dairy area, Sandpiper built a loyal customer base by being known for its excellent service, industry expertise and speedy deliveries. Over the years, Sandpiper Supply has grown along with Savannah and its surrounding areas. With the addition of a 2000 square foot showroom and a new location on Bull Street in mid-town Savannah in 2007, Sandpiper has branched out to service builders, designers, plumbers and homeowners alike. We are still known for our service, expertise and speedy deliveries and our showroom staff is friendly and knowledgeable. We look forward to continuing to grow with Savannah! 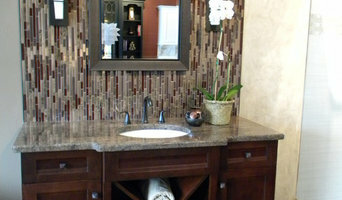 Sandpiper’s showroom is able to help you with kitchen and bath projects both large and small. Our offerings of Faucets and Bath Furnishings are continually growing. From traditional to contemporary, we are here to make your bath and kitchen beautiful! We improve your life by creating beautiful and functional kitchens, bathrooms and closets, using high quality components and detailed installation. 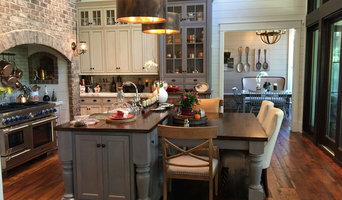 Use the Houzz Professionals listings to find Bluffton, SC kitchen and bath accessory vendors. Don’t rule out asking a kitchen manufacturer’s design team for help, too. Skills often can be overlapped to save you time and money! Here are some related professionals and vendors to complement the work of kitchen & bath fixtures: Kitchen & Bath Designers, Kitchen & Bath Remodelers, Interior Designers & Decorators, Cabinets & Cabinetry. Find kitchen and bath fixtures and accessories, plus installation experts, on Houzz. Check out South Carolina kitchen products and installers, and bath plumbing products and installers, on Houzz. You can also look through project photos provided by Bluffton, SC renovators, retailers and designers.